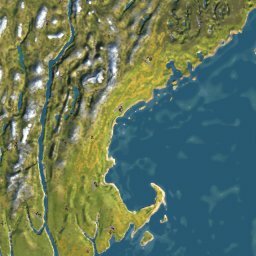 This map was made free hand and gives a general depiction of New England terrain, city placement, industry and resources. There was no real amount of gold around here as far as I know, but there are many other recourses that I will represent with gold and Coal mines. The year is 1835. See if you can be a true Railroad Tycoon in the Tycoon’s back yards.